The final design for the cover of the Kingdom Hearts Birth By Sleep light novel has been revealed. You can view it in the gallery below. The novel was announced back in 2016 and will be available on March 19th, 2019. Pre-orders are being accepted on Amazon, Barnes and Noble, AAA Anime, Books-A-Million, Indigo, Indiebound, and RightStuf for about $20.00 as a paperback. What do you think about the final cover? Will you be adding the novel to your collection? Let us know in the comments below! 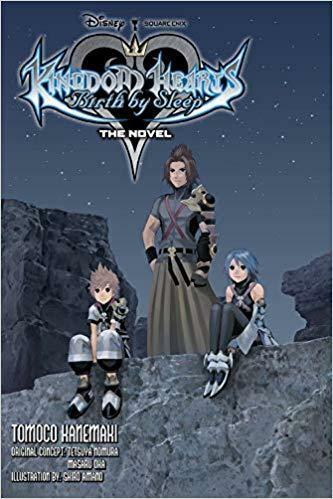 Oh snap, we're getting the Birth By Sleep light novel!? That's insane! Thanks for the exciting news, Leamax! I think it's pretty awesome that pretty much every game in the series will end up novelized!